After 11 years as Director and leading Castlefield Gallery to where it is today, Kwong Lee will be stepping down in mid-November. Join us in throwing him an ‘Art Party’ to remember on Saturday 19 November at ArtWork Atelier. Kwong has helped an innumerable amount of people across the art sphere. And in true Kwong style he can’t stop now. Many people have been in touch with Castlefield Gallery to ask about giving Kwong a leaving gift. 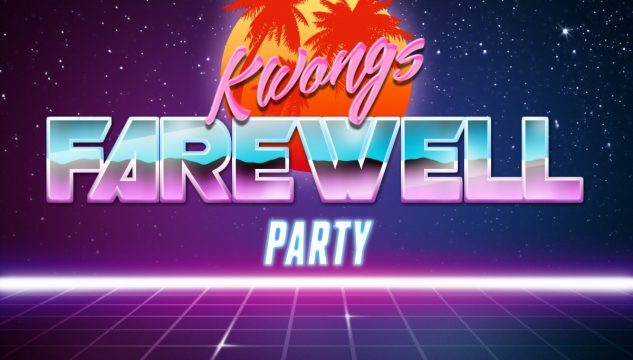 To monitor numbers for the party but also help towards a modest artist bursary, we’re asking that everyone who is able to join us at Kwong’s Farewell Party contributes a small donation (suggested £3) to go towards an artist bursary that will be awarded in 2017 (details TBA). And for anyone who isn’t able to join us but who would still like to contribute to the bursary* you can do that as well via eventbrite. ART AUCTION – Featuring a small selection of new and recent works by artists who’re based in Manchester and that Castlefield Gallery has worked with and supported over recent years. Silent bidding commences at 7pm and ends at 10pm. More details to be announced soon. SOLD OUT – Capacity at ArtWork Atelier is limited and tickets have sold out. If you would like a ticket add yourself to the waiting list on eventbrite and if there are cancelations you will receive a notification. AFTER PARTY – Join us from 11pm at Corridor Bar, 6 Barlow’s Croft, Salford, M3 5DY. Any enquiries please contact Jennifer Dean on Jennifer@castlefieldgallery.co.uk or call the gallery on 0161 832 2034. *CG will be able to use this as match funding towards its Arts Council England Catalyst: Evolve grant.